Change keys without changing familiar chord shapes! Great for beginners familiar with G, C, D, and Em guitar chords. No need retreating to your fortress of solitude when tuning your guitar! 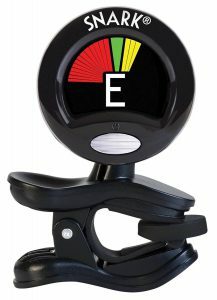 This fancy gadget measures the vibrations on the guitar not the sound waves. And this means you can tune while the drummer takes her solo! Put your guitar out of harm’s way and ready to play! 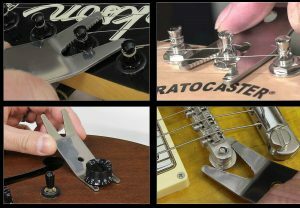 You can even learn how to install a guitar wall hanger the right way with this step by step guide. 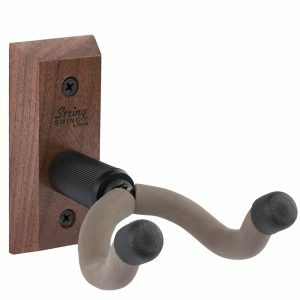 Not ready to commit to a wall hanger? Put your guitar in any room and keep it ready to play! Comes with it’s own version of a seatbelt. 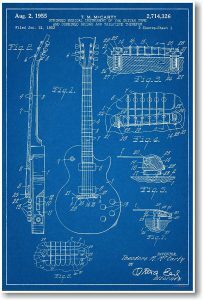 Pretty cool piece of art for the guitar playing art lover. Would need to get it framed, so it doesn’t quite fit the 15 under $15 bill, but the you could always let them take care of the part! 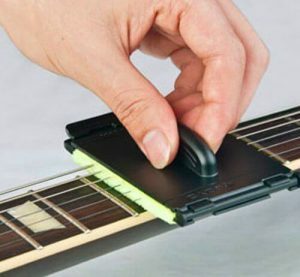 Neat little gadget that cleans both sides of the strings! Most guitar players just use their shirt or a rag, but that only gets the top of the strings clean. Fits in a guitar case too. 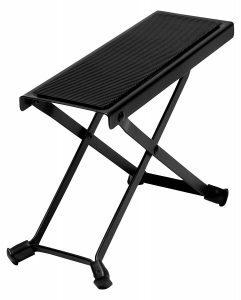 This foot rest helps you get the correct classical guitar posture. A good posture gives you maximum reach on the fretboard while minimizing strain on tendons. Plus, it just feels good to hike a leg. Wax on. Wax off! 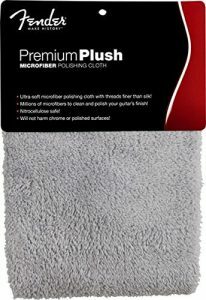 Keep the grime at bay without scratching up the finish on your guitar. Just don’t use wax with it whatever you do. Also doubles as a rally towel to motivate your band to quit fighting and start practicing. Step away from the pliers when you're changing strings! 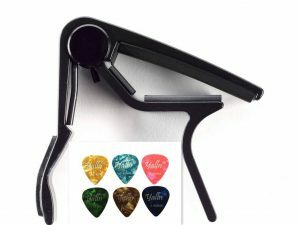 This gift for guitar players pulls the bridge pins on acoustic guitars without damaging the pretty plastic. No need to scratch them up anymore. Don’t forget the ink! 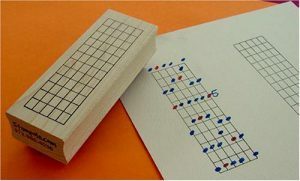 This gift for guitar players and teachers lets you draw in your own chords. 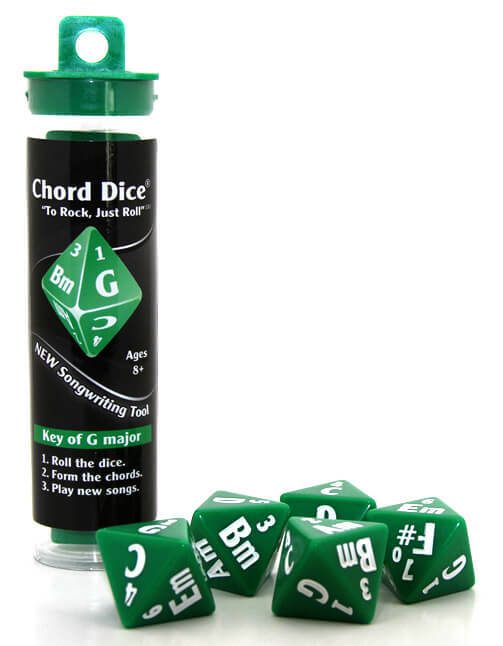 Gonna have to write another article titled 101 Guitar Chords For Your New Guitar Stamp. Don’t forget the ink part 2! 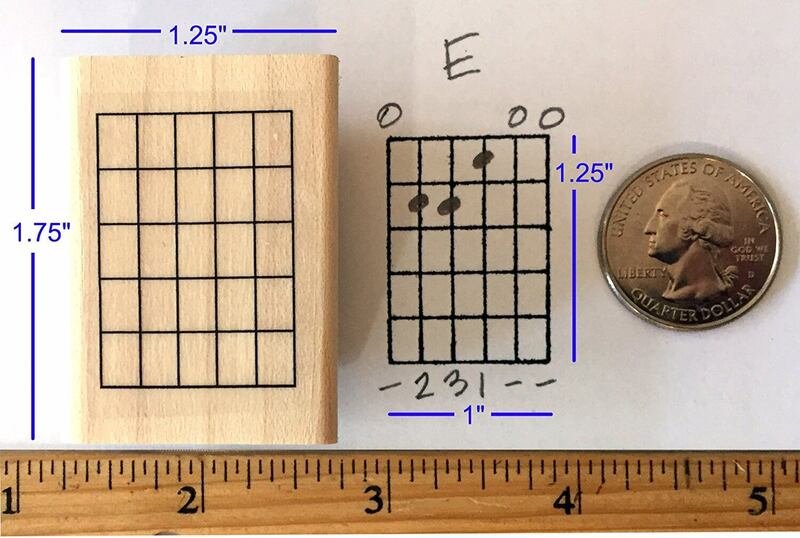 This stamp lets you draw scales across the entire fretboard so guitar players can breakthrough no man’s land. 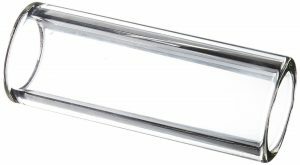 Most guitar players have a metal slide. The originals bluesmen used glass bottle tops. These look a lot safer! 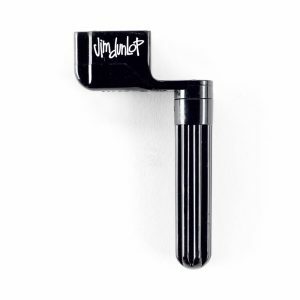 Most guitar players don’t know this tool exists. 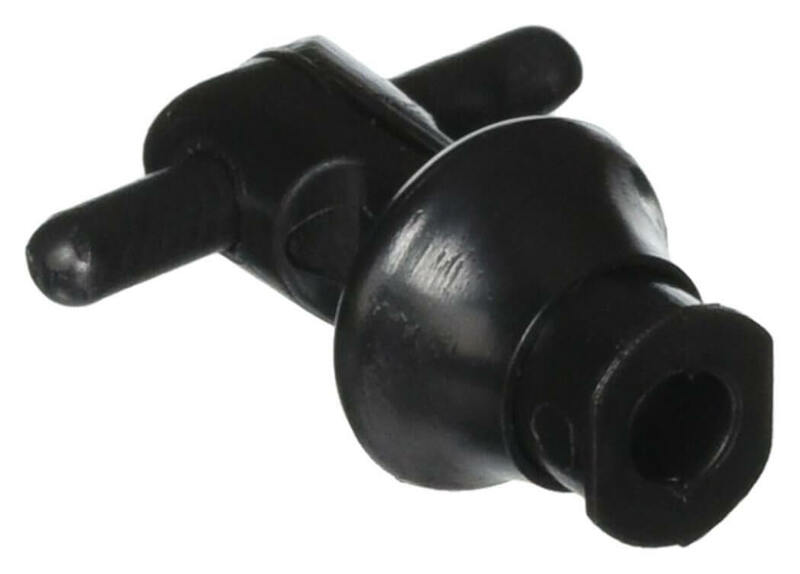 It tightens the nut that goes loose when you plug in your electric guitar 87 times a week. Turning all 6 pegs by hand to unwind strings really cramps your hand! 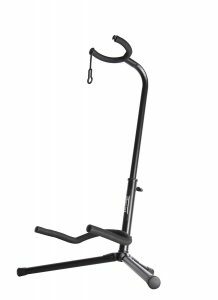 Most experienced guitar players have one of these in their guitar case because they save a ton of time and needless pain. New players who haven't changed their own strings may not know about them yet. 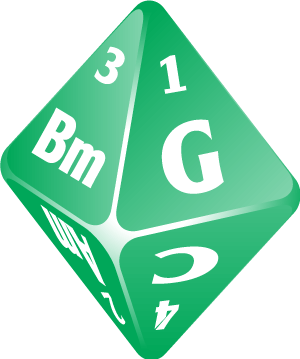 You'll have to hurry though... we have limited sets of green dice remaining... so get them in time for the Holidays while supplies last by clicking here to order now!